Whether you are a beginner when it comes to towing a fifth wheel trailer or you are a pro, one product that can be very important is a Blue Ox BedSaver. A BedSaver can reduce the amount of frustration you will have on your road trips by saving you money by preventing damages to your truck and time by you not having to spend your vacation at a repair shop. How does a BedSaver work? When hitching a fifth wheel to your truck there a many things that you want to double check to make sure that they were properly hooked up, but the most important is the dreaded king pin. You want to make sure that this is locked in, if not the king pin may become detached and SLAM, your fifth wheeler is now sitting in the bed of your truck. Not to mention the damages that it probably just caused to your truck-bed or the trailer. This is where a bed saver would have come in handy. Having a Blue Ox BedSaver installed, if this happens, the bed saver will catch the king pin in a uniquely designed channel and will keep the trailer from dropping onto your truck bed. In the end saving you from frustration and possible embarrassment. Blue Ox Bed Savers are available for all types of hitches and will spare you the trouble of bed, trailer and even potential bodily harm. They are a valuable tool for anyone hauling precious cargo in a trailer. 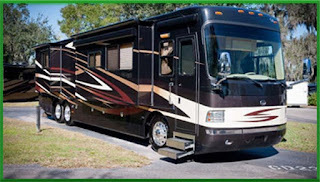 Visit our website and find out why we are your go-to rv parts supplier. If you have questions feel free to contact us too. 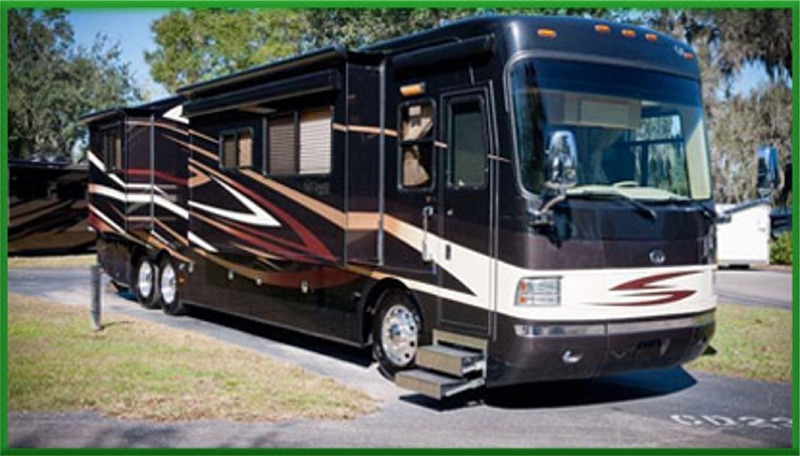 We will assist you in making the right part decisions for your RV. We all know that one of the best things about camping is being able to cook over an open flame. Many people opt to go the traditional hot dog and hamburger route. However, there are times when the ordinary camping fare just won’t do. On those occasions, you may want to reach for a Cast Iron Skillet. It’s a great camping accessory to have around for that very reason. The Rome Campfire Skillet is crafted out of cast iron with a wooden handle, it is 39" long, so you don't have to get to close to the fire and has a 6" diameter surface for cooking. The great thing about it is that the cast iron head does not require seasoning. Nonetheless, you may want to brush the pan with oil before using. Doing so will help to keep eggs, pancakes and sandwiches from sticking to the cast iron plate. Just make sure that the oil you are using has a high smoke point. Otherwise, you may inadvertently end up infusing an unpalatable smoke flavor into your meal. Oils that tend to have smoke points above 350 degrees Fahrenheit are refined canola, safflower, soy and sunflower. If you are in an area with limited access to water, you may want to brush a piece of aluminum foil with oil and wrap it around the food instead. Then place the foil wrap into the skillet or cook it on a campfire grill. That way, it will require very little cleaning, if any. There are several camping accessories that would pair well with the Rome Skillet, they are the Picnic Time Asiago Folding Cutting Board and the Rome Round Camp Ring Grill. The folding cutting board comes outfitted with stainless steel tools, making it simple to prepare one’s sandwich toppings. 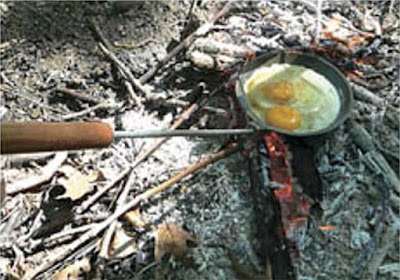 The camp grill ring, on the other hand, can help to keep your skillet level during the cooking process or give you another option to cook your food. To learn more about these camping accessories and others, please contact us. Always start by doing a lot of pre-planning and packing. Just like other members of the family, dogs will need their own camping supplies. Thus, it’s best to invest in items like a spill proof water dish, sensor equipped food dishes, pet fresheners and portable food bowls for impromptu day hikes. There are many pet accessories that can make camping with your four-legged pal easier. It is also a sound idea to review and copy your pet’s health records. Make sure that Fido has all of his shots and place a copy inside of your RV along with a doggy first aid kit. That way, you’ll be ready to present the records to the campground’s owners and anyone else that may need to verify that Fido’s vaccinations are up to date. Speaking of campground owners, we’d recommend that you save yourself major aggravation and disappointment by contacting them well in advance of your trip. Ask what their facility’s pet regulations are and whether or not special permits are needed to visit popular, area attractions. After all, there are some camping destinations (i.e. beaches) that require pet owners to apply for special permits or outfit dogs with specific accessories (i.e. retractable leash). 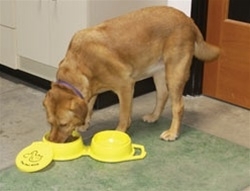 We can help provide you with the pet accessories needed to make your next family camping trip great. If you have any question about our products, please contact us.